Imagine a road trip with your friends in your beloved car, you stop for a photo session and after a score of selfies when you get back your car just refuses to start. An automobile battery life is unpredictable after a certain time. Although you had been thinking of buying a car battery a few days back but you were totally confused about the best 4 wheeler battery brand. 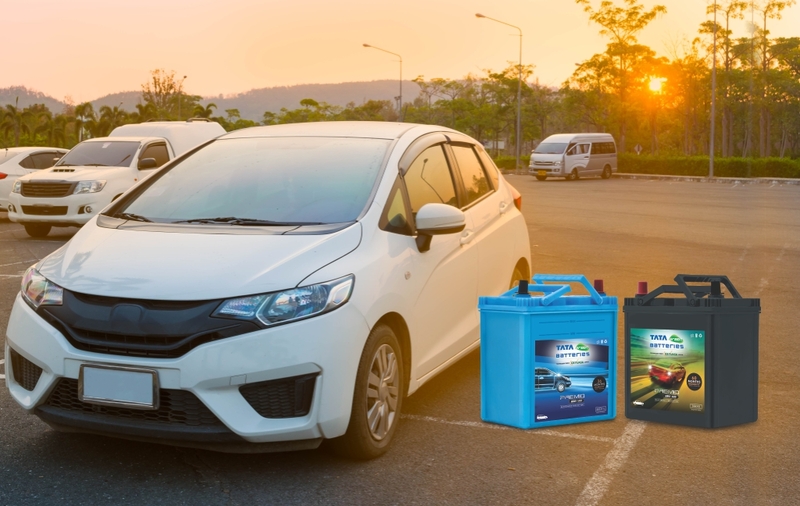 Tata Green Batteries understands the importance of a good car battery, so we have compiled a checklist that will help you zero down on the most appropriate automotive battery for your wheels. Dig out your car’s owner’s manual which has information about all the standard parts the car. Check the battery dimensions and the ampere-hour ratings, the CA, CCA ratings there. If you have misplaced the owner’s manual, check the top or the body of the existing battery for all the required ratings. Choose a car battery that has Ah rating higher or equal to your existing battery or as mentioned in the manual. A lower AH rating will give you trouble while starting your car, especially when it comes to cold starts. Also, the car battery life will be affected. Don’t end up buying a 4 wheeler battery with a much higher AH rating battery, it will lead to slow charging and put the load on the alternator. If you live in climatic conditions where the temperature gets considerably low, go for a battery with higher CCA. A battery with good Reserve Capacity shall come handy in case the alternator of your car fails, to keep the car and lamps running for a longer period of time. Usually, most battery mounts/battery boxes are standardised, but don’t forget to check the battery dimensions. It is always good to check on the size if it fits your car snugly. If you’re the one-man army to your car and like doing the maintenance on your own, buying a battery with handles/loops will be convenient. Lead Acid batteries and Dry Cell batteries are the most commonly available 4 wheeler batteries. Dry cells are slightly more expensive but have a longer life than lead acid batteries, but the average automobile battery life in India is about 3-5 years. When you buy an automotive battery check the manufacturing date which is mentioned on the battery. In case the date is not mentioned, there will be a code that indicates the date of manufacture. A battery purchased within 6 months of manufacture is considered as fresh. Be extra careful while buying a car battery online. Check battery life, warranty, servicing, replacement and other terms and conditions. Buy batteries only from reputed 4 wheeler battery brands like Tata Green Batteries. You can also view their batteries online on http://www.tatagreenbattery.com. Lastly, keep the warranty card safe just in case the battery gives away in the warranty period to avail replacements.